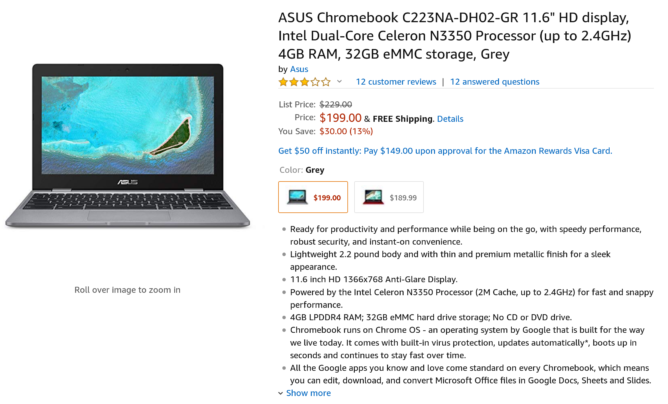 Chromebooks are going on sale like crazy this holiday season, so this should come as no surprise to anyone. Asus' Chromebook C223 has dropped $30 to $199 at retailers like Amazon, B&H, and Best Buy for the plain grey model. Or if you want some extra flair, the eye-catching red version is another $10 cheaper on Amazon. 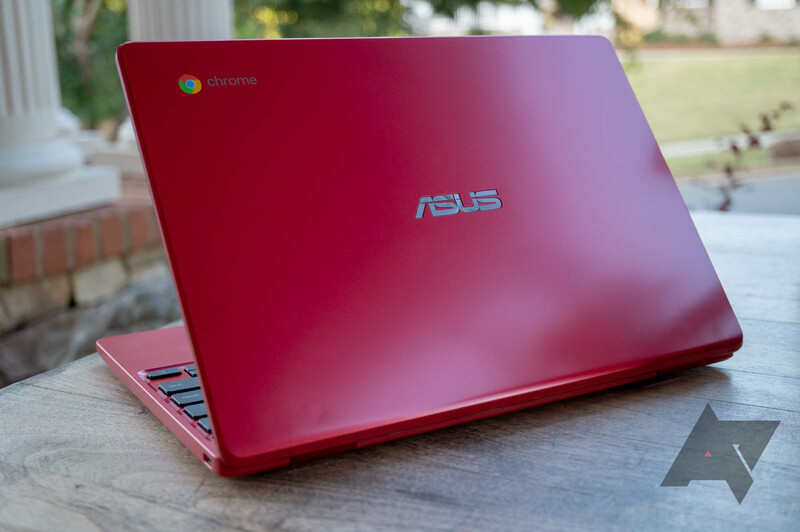 As you might have guessed from the MSRP of $230, the C223NA-DH02-GR is a low-end, entry-level Chromebook. It sports the lackluster Intel Celeron N3350 dual-core CPU, 4GB of RAM, 32GB of eMMC storage, and an 11.6" 1366x768 TN panel that isn't the prettiest to look at. Still, this little laptop does the job for most people, which is casual web browsing and emails. It's also a good backup in the event that your main machine goes down. If you want to read our review on it, you can check it out here. If you want to be boring and get the grey model, you have your pick from Amazon, B&H, and Best Buy — there may be others, but those three should cover you. Or, if you want to save $10, Amazon is the place to go for the red version.